When you go through deep waters and great trouble, I will be with you. When you go through rivers of difficulty, you will not drown! When you walk through the fire of oppression, you will not be burned up – the flames will not consume you. I took some non-highway roads on the way to the churches today. The roads are showing the ramifications of a long winter. 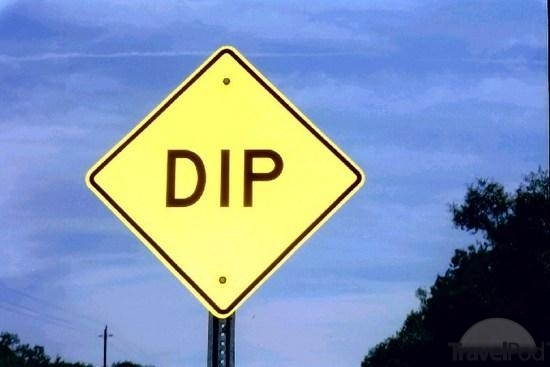 Several “Dip” signs speckled the roadway. May times, I stuck my hand over the passenger seat so my things wouldn’t end up on the floor. The shocks on my vehicle got a work-out today! This is the time of year the roads are simply rough. As the temperatures vacillate between freezing and thawing, the roads heave. Thus, all the dips, bumps and unflat surfaces. Ever feel like your life is filled with bumps, dips and unflat surfaces? Yep. Yet we have this promise from the prophet Isaiah: God will be with us. In deep waters. When in great trouble. We won’t drown or be burned up. God is with us. More often than we realize, God puts a protective hand across us, making sure we don’t constantly end up on the floor. Now this is something to give thanks for. Why is it that we more often do not recognize your presence in the bumps of our lives rather than be thankful you journey with us? Thanks for all the times you have protected me. Thanks for absorbing more of the shock than we ever realize. Whatever dip is happening in my life this day, may I see you journeying with me. Amen. “Go out and stand before me on the mountain,” the Lord told him. And as Elijah stood there the Lord passed by, and a mighty windstorm hit the mountain … but the Lord was not in the wind … there was an earthquake, but the Lord was not in the earthquake … there was a fire, but the Lord was not in the fire. And after the fire, there was the sound of a gentle whisper. I shared with someone today how my life perspective changed. In my 20’s, I expected to do great things. I thought I would change something significant. In my 30’s, I shifted careers to follow God’s call. My aspirations of making a difference shifted with my career change. Today, I have a more realistic life view. I do not aspire to be the pastor of a large church, the bishop of my denomination or a person called to speak at conferences. I simply desire to do one thing today that makes a tiny bit of difference for God’s kingdom and someone else. These little things come in a variety of ways. Maybe it’s a listening ear. Possibly it’s doing something insignificant to me but important to someone else. Hopefully it is adding value to another’s day. It’s almost rocket science, isn’t it? Our world has lost its appreciation for the small. Our world wants bigger and better. We want to supersize our fries, sodas and vehicles. But amid this, God is doing something new in the small and the subtle. What Jesus called the Kingdom of God can be the gentle whisper among the chaos. How does this happen? When little people have dreams about doing something different within their community. When ordinary radical people are committed to doing small things with great love. Most of us will never be CEO or develop a vaccine. But we can eat Cheerios with someone. Covenant with God to do one small thing for someone today. Too often, I’ve missed your gentle whisper in my life, Lord God. Please forgive me. Help me appreciate the small more than the big and grand. Challenge me to do one small thing for someone else, today. May it glorify your kingdom. Amen. God doesn’t accept people simply because they obey the Law. No, indeed! All the Law does is to point out our sin. In the set of exercise videos that I am currently using, the person leading the workout sessions often says, “Focus.” He wants us to focus on the muscle we are working so we get results. I’ve heard him say “Focus” so many times. Tonight as I exercised, I thought of it in terms of my faith. How well have I focused on what I’ve aspired to do this Lent to deepen my faith? As I practice my faith, do I focus on what I’m doing and saying or simply go through the actions? Focusing on discipleship is really no different than focusing on a muscle when I’m exercising. I just don’t often think of faith in these terms. 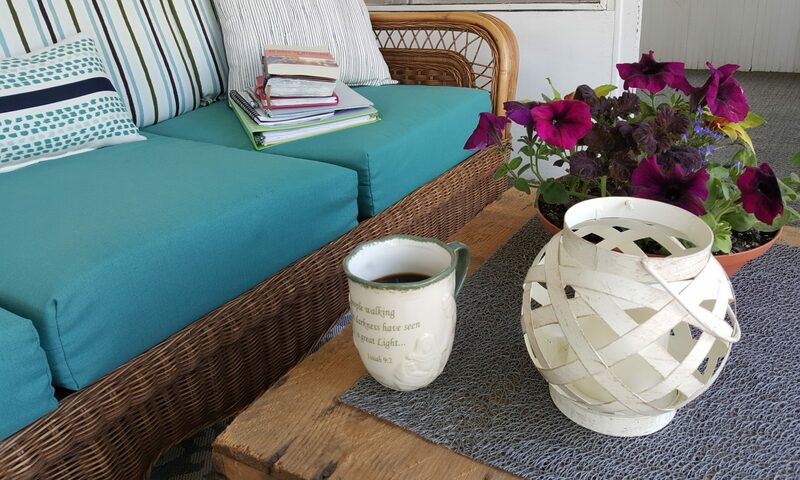 On occasion I do: when preparing for worship or putting together thoughts for a meeting agenda. But truthfully, how well do I focus on the daily acts I desire to do as a Christian? Not so much. I was curious if the word “focus” was in the Bible. I thought I knew the answer before I went online to make sure. Yep, this is a contemporary word with no real Hebrew or Greek counterpart. The closest word I could seemingly come up with is “point.” As I did a search for “point,” I found this verse from Romans. It encourages us not to focus solely on the Law. God doesn’t want simply a bunch of people who are law-abiders, who follow all the Old Testament laws. The focus of the Law is to help us see where we’re moving away from God. Understanding this allows us to focus on many other things which can help us grow in our faith, deepen our understanding of God and desire to follow God. This is what Lent is about. Now if I can just get some laser-like focus to help me along. Lord God, how easily we get distracted and focu s on things that pull us away from you rather than closer to you. How quickly we determine what we think is most important without really consulting you. As with exercise, focus is needed to help muscles develop; our spiritual lives also need focus to help us grow as disciples. Please pour out a significant dose of this focus on me today. Amen. This week, Rick and I got the dreaded spring cold. We are both stuffy, achy and blowing our noses constantly. The beginning of the week, my back, neck and shoulders were so stiff. I really wanted to treat myself to a massage but didn’t. Being stiff made me feel rather miserable. Today, I was with three teenaged Confirmation students. We watched The Passion of the Christ. Personally, I feel the most graphic part of the movie is when Jesus is flogged by the Roman soldiers. Flogged is a fancy word that is the act of methodically beating the human body with special implements such as whips, lashes, rods and the like. It’s as severe form of punishment as I can imagine. After watching the perceived beating that Jesus took, my stiff back is very minor. What do I have to complain about? My cold will be gone in a few days. Jesus’ withstood unimaginable beating and whipping. Why? So that I can experience eternal life. When things are awful for us, we can be melodramatic. We say something is a nightmare or the worst thing ever. But really? Yes, our situations may be difficult and painful. But anything in comparison to Jesus’ flogging? Not a chance. After seeing this movie again, I will complain much less about the obtrusive things in my life. They really just are not that big of a deal. It’s a matter of perspective. Lord God, why is it that everything seems much more difficult when we are personally experiencing something? Others may be walking a difficult lot in their lives. But when it affects us, we have a new perspective. Yes, we do have certain challenges and difficulties in our lives. And thank you for walking with us through trying times. Challenge us not to lose perspective. Amen. A long-standing discipline of Lent is prayer. But there’s a little story about the pretzel and Lent you may not be familiar with. Tradition says there was a monk who was in the kitchen one day during Lent. The monks only ate very simple foods during Lent. There were leftover scraps from making bread. The monk began to work with the scraps and formed what we know today as a pretzel. He baked the little pieces of bread and shared them with the other monks at the monastery to encourage their prayer lives during Lent. Hold a tiny twist pretzel upside down. When the monks prayer, they crossed their arms in front of them and put their hands towards their shoulders. Try this. Now look at the pretzel. Does the shape look familiar? There are also three holes in a pretzel. These are to remind us of the Trinity of God, the three persons of God: Father, Son and Holy Spirit. We think of a pretzel as something to dip into mustard or snack on. But originally, pretzels were a way to encourage people to uphold prayer during Lent. Maybe you can use pretzels as an encouragement of your prayer life this Lent. It’s just a pretzel, but it was formed and created with a specific purpose. May we be reminded of the constant need to pray daily in our lives. May our prayers be lifted up in the name of the Trinity. 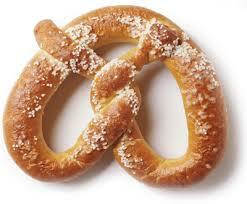 Lord God, I pray that the hardness of the pretzel will remind us of the hardness of your sacrifice. Amen. When we think of a crown, we imagine something that Napoleon, Queen Elizabeth or Elsa the Snow Queen from Frozen would wear. 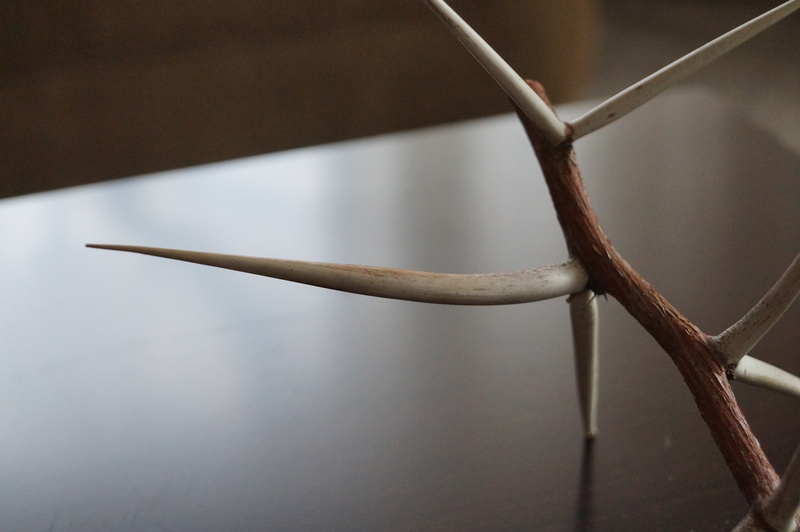 To us, a crown of thorns means thorns from a rose bush with short, pudgy thorns. I’m convinced the crown Jesus wore wasn’t none of these. While in the Garden of Gethsemane, we saw thorns recently pruned from bushes. The pictured thorns were in a refuse pile when I rescued them. Look closely. 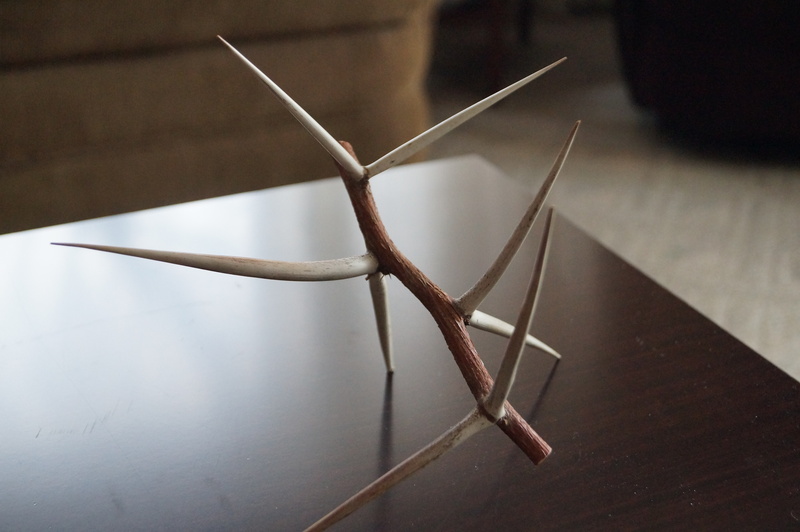 The thorns are 4-5 inches long. Imagine these thorns woven into a crown and pushed down over the top of a person’s head to make sure the crown would stay on. Are you getting a different picture? To secure a crown on Jesus’ head required some thorns be pushed into the skull. These thorns are spiky. Not a pleasant feeling. Jesus’ crown is not a beautiful crown. It’s a crown of jest. Imagine the thorns causing blood to drip down Jesus’ face. Why would a person allow the soldiers to make fun of him, with a crown, a purple robe and mocking? Because he had to. I recently saw the movie 12 Years a Slave. It tells the true story of how a free African-American man from Washington D.C. was sold into slavery. In the mid-1800’s, he spent 12 years working for white masters. While traveling to a master’s farm, another slave tells him to say as little as possible and not let the master know he can read and write. This is necessary for survival. For many American people, we feel it is important to stand up for ourselves, defend our position, make sure justice is fair. Contrarily, this man follows the advice most of the time. Near the movie’s end, he takes a risk hoping it will lead to freedom. Jesus never tries to barter, beg or negotiate with Pilate, the soldiers or the religious leaders. He just accepts his lot. He’s the King of the Jews, the Son of God, crown of thorns and all. Why did he allow the mocking, the beating, the humiliation? Simple. Because he loves you. Lord God, it is hard to understand how nasty and awful your death was. We prefer it to not be so horrendous. When confronted with the real side of your death, it’s more than we can stomach. Thank you for accepting this lot. Thank you for being willing. Thank you for dying. Amen. 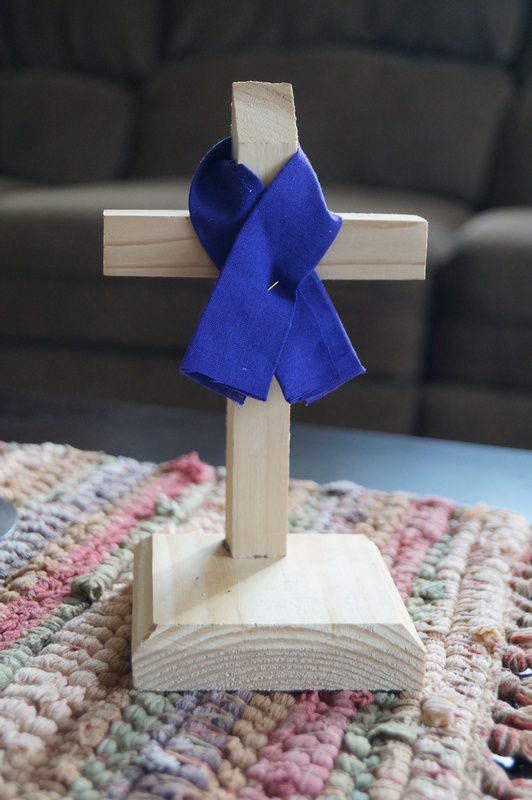 At church on Sunday, people received a second symbol of Lent to add to their small wooden cross. They received a small purple robe to put around the cross. In Matthew’s Gospel, we discover early on that the Son of God, Jesus Christ, came as the King of the Jews. When the magi are looking for Jesus after his birth, the magi inquire where the King of the Jews was to be born. In his death, a sign is hung above his head on the cross, which labels him as the King of the Jews. Many Jewish people just could not recognize Jesus as their King. Nothing of his life resembled the traditional roles of a King. Jesus was born in a smelly barn, not a royal palace. His earthly father was a simple carpenter, not a man presiding on a throne. He never owned his home and certainly never lived in a fancy palace. So why should have the Jews, who expected their Messiah to be a descendant of King’s David family to not live like King David? Often, God does things upside down. This King would model being a king for everyone and not just certain people. This King would open-up God’s kingdom for all people. This King would not rule with power but with mercy and grace. As the purple robe resides on the cross, may it be a reminder of the robe placed on Jesus’ shoulders by the mocking soldiers. May it remind us that Jesus wants to be the King of your life. He doesn’t want to be a King in name only, but a King whose simple commands to love God and love our neighbors are ones we aspire to follow. He is a King we can trust. He is a King who yearns for our praise. He’s a King we should not mistake because he’s simply not the kind of King we expect. O King of the Jews, forgive me when I have not recognized you as the King of my life and mocked you instead. Overlook the times when I yearned for an earthly King rather than a heavenly King. May a simple purple robe renew within me the desire to make you King of my life. Amen. Jesus knew his days were getting numbered. He traveled to the city of Jericho. While there, he didn’t look up the local synagogue leaders or rabbis. The one person he chose to visit was Zacchaeus, one of Jericho’s biggest sinners. A tax collector, he had made himself very rich. When he heard this Jesus guy was coming to his hometown, even he decided it was worth checking out. Crowds must have lined the streets. He climbed a tree to catch a glimpse of Jesus. When Jesus found Zacchaeus, he told him he was coming to dinner at his house. Zacchaeus organized a wonderful party, inviting all of his friends. Who were his friends? Fellow big-time sinners: cheats, prostitutes, ill-repute people. Jesus wasn’t uncomfortable dining with Zacchaeus’ friends. This was the kind of people he usually chose to dine with. While maybe Zacchaeus didn’t quite understand Jesus and his mission, he was convicted of his wayward ways and publically announced that he would make right all of his previous wrongs. He saw that his cheating of others wasn’t the way he wanted to be remembered and wanted to correct it. For his change of heart, Jesus rewards him with salvation AND reiterates his life mission: to reach out to the lost. As a Christian, it should be my mission to continue Jesus’ work. I am to reach out to the lost. Unfortunately, I have a hard time doing this. As much as I want to be unjudgmental, I just always can’t stop myself. I want to place conditions on helping others. Sometimes, I even want others to know when I help someone rather than just doing it humbly. How do I choose which lost people to help, knowing I can’t help everyone? I often help the “easiest” ones and leave the difficult ones for someone else. I congratulate myself when I do a little, hoping that something is better than nothing. I justify caring for my loved ones and choose to neglect someone else. What I’m saying is this: helping the least and the lost is serious business. It’s hard business. It’s not for the faint-hearted. It was Jesus’ mission. Will I honestly make it my mission? Lord God, forgive me when I have not been very caring to the least and the lost. Thanks for patience when I looked the other way rather than dealing with a prime opportunity in front of me. Thanks for overlooking my selfishness when I could have assisted someone else. Broaden my “least and lost” box this Lent. Bring someone into my life that I have the opportunity to help. Amen. A couple months ago, our niece shared about her five-year-old son. He attends parochial school. One day after school, he told his Mom that he wished one girl in his class would stop leading him into temptation. Has temptation been your friend? Have you knowingly done hurtful things to other people? Or has temptation lured you away from doing something you know you could and should do and instead do something else? As Jesus hung on the cross dying, he looked down and saw all kinds of people gathered at the foot of the cross. He saw the religious leaders who worked diligently to get him crucified because they felt threatened by him. There were the Roman soldiers conducting their jobs, probably numb to the process. I imagine a few merchants Jesus had thrown out of the Temple earlier in the week that changed money within his Father’s house. They were still mad at him for causing them to lose money during a significantly profitable week. Then he saw his Mom, her closest friends, his disciple John. People he loved and cared for. People he knew didn’t understand what was happening. People led into temptation because of their job, beliefs or views. People who were loved him and couldn’t imagine life without him. In this prayer, he prays for those he can see who have been tempted and given in. He’s praying for all those people who have already lived and committed sin. Interestingly, he also prays for us, for all of humanity and the temptations we will succumb to. With a few words in a prayer, he covers the temptations of all humanity. What to know how much Jesus loves you? Substitute your name for the “them” in his prayer. Listen. “Father, forgive Dianne, for she knows not what she does.” This is amazing love. It’s amazing grace. Will you be changed this Lent by the One who prayed for you? Lord God, thank you for praying for me while hanging on the cross. Thank you for paying for my sins even before I enacted them. When we remember the temptations we have allowed into our lives, let us see the payment of those temptations. Allow the Holy Spirit to change our hearts this Lent. Amen. On Wednesday evenings, I teach a Confirmation class for teenagers. Tonight’s subject was being a disciple of Jesus. What do it mean and the choices we make in how we live our lives For God? One way is by devotion. To help us understand what devotion looks like, we looked at Jesus’ example. That’s when we ran across this verse from Mark’s Gospel, which tells us that while it was still dark, Jesus got up and prayed. We talked about when we’ve gotten up when it has still been dark and the circumstances surrounding this. The kids talked about getting up early when they go hunting, fishing and for sporting events. But to pray? Not so much. One boy thought he deserved credit for getting up early when he stays overnight at a friend’s house and still making it to church. How about you? What causes you to get up when it is still dark? When you roll out of bed in the morning, do you hit the day running or do you spend a few quiet minutes with God? The last few years, I have discovered that praying in bed before my feet hit the ground helps me focus and reflect on where I want to get energy from the day. Maybe it’s only praying for two or three minutes in my head, but it’s a choice to dedicate the day to God first. It’s remembering whose I am before I have a chance to screw something up. I’m not sure the teens were convinced of the need to get up before dawn and pray. Most importantly, they heard about Jesus’ devotion to God and his desire for us to strive for this also. Whether it’s when it is dark or when it is light, at the end of the day, Jesus simply yearns for devotion. Doesn’t the King deserve this? Almighty God, being devoted to you should be relatively easy. But sometimes, we just do not make those choices. Thank you for the model that Jesus gives us. Help us to see that choosing to follow you is worth the extra effort. Amen.